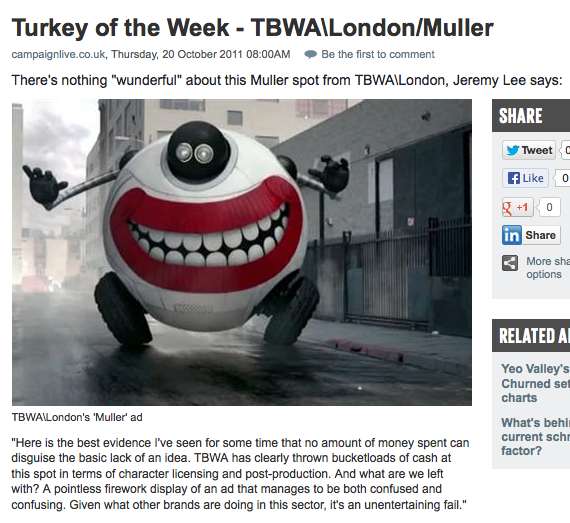 I wrote this whilst working at TBWA\London. It was voted one of the year's most liked ads in Campaign's Reality Check and was directed by the hugely talented Antoine Bardou-Jacque. It was also lucky enough to be featured in Campaign's famous Turkey of the Week section!